The Nike Soccer Shin Guards feature a unique sock design with a built-in hard shell and foam padding for impact cushioning where you need it most. Extra foam on either side of your ankle creates a comfortable fit. All-in-1 design has a shin guard built into the sock. 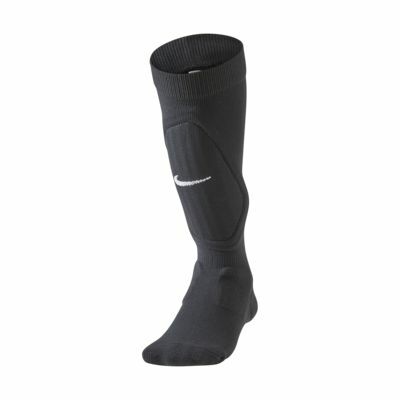 Built-in shin guard has a ventilated hard shell with foam padding. Foam on either side of your ankle creates a comfortable fit.